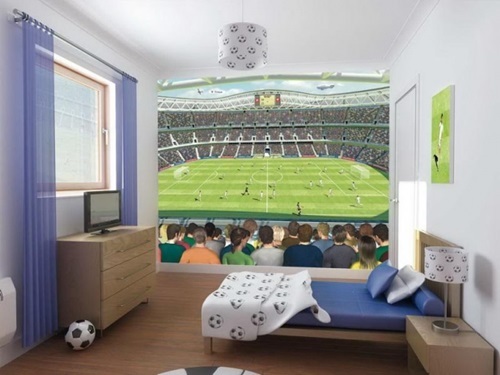 Your teenager son is living an intermediate stage between childhood and manhood; so, you should select his room components carefully. Designing such a room should be inviting, as he may receive his friends there, and relaxing, because he will spend several hours of his day studying and taking rest in the room. 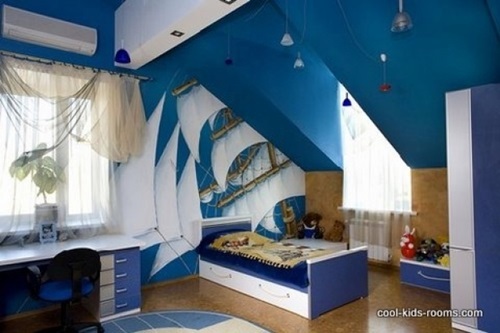 Such a room needs to be manly keeping a few features of his favorite hobby during his childhood. 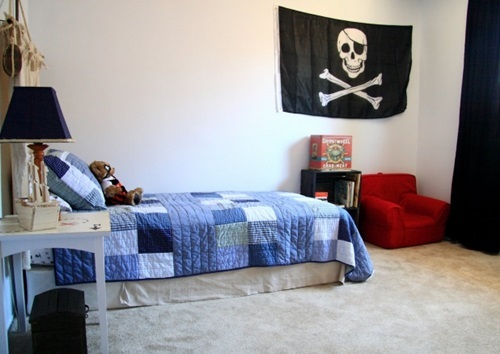 To teach your teenager boy to be a responsible person, you will need to provide him a sufficient storage space. 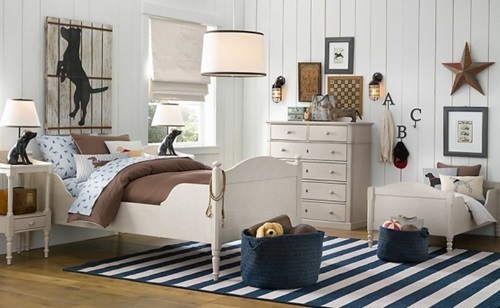 For example, the bookcase that is incorporated to the headboard with under bed drawers will let him organize his belongings and find his books easily. The large closet will certainly accommodate all of his new clothes and other stuff as he will have extra needs than when he was a little child. 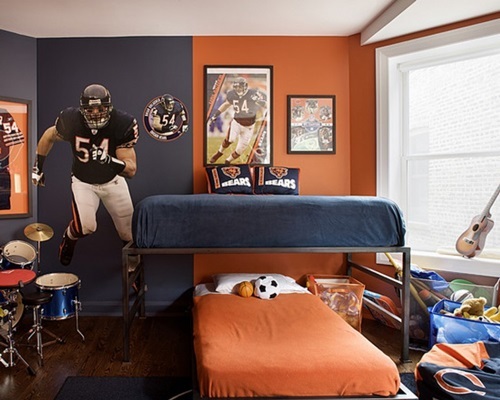 The color of the room will affect your teenage boy greatly; so, you will need to let him decide the color of the room. 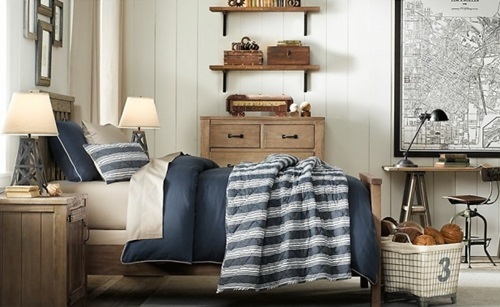 If he decides to let it up to you, you can choose a neutral color such as warm brown or beige with orange accents or even grey to let your boy change the look of the room several times a year. If he has unconventional inclinations, you can choose similar colors for the walls and his furniture pieces alike. 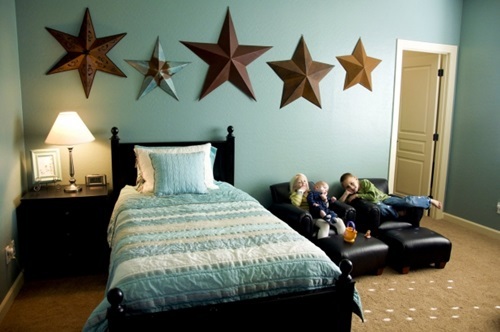 For example, you can paint the wall orange, navy, or light blue. 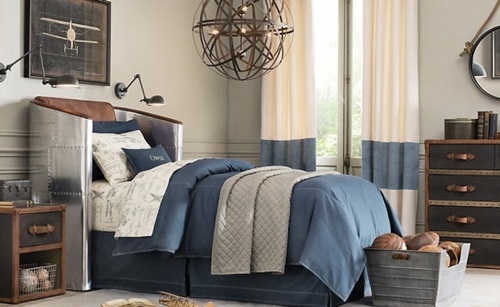 If your teenager loves black, you can choose black bed and desk or bookcase with lighter beddings and floor covers to create balance into the room. 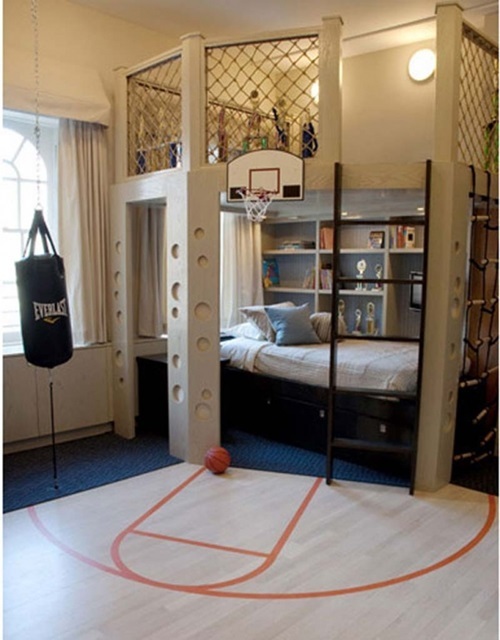 Your teenager boy bedroom should include parts of his favorite sports or hobbies to help him develop his abilities. 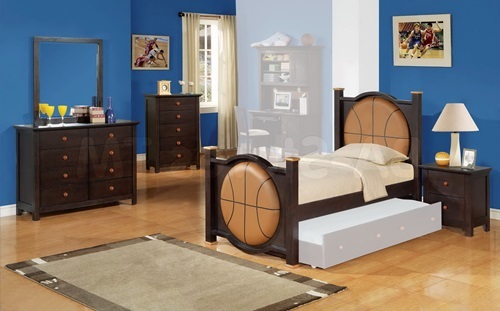 It can include small sized sport equipment or a small scientific lab according to the hobby your teenager enjoys.